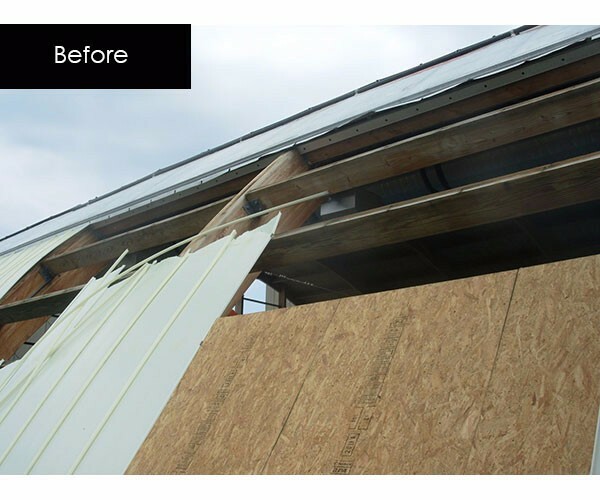 When the Cherry Point Combat Pool sustained massive damage from Hurricane Irene, DJG replaced the solar water-heating system and existing roof with more energy-efficient installations. 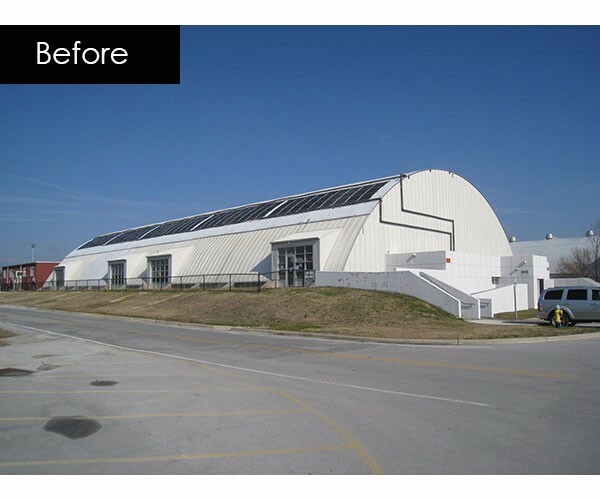 The building’s aesthetics were improved as well, with increased natural light and higher end finishes.For the curved barrel-vault roof renovation, two layers of new roof insulation were incorporated, bringing the building envelope’s insulation level up to an R30 value. A new standing-seam metal finish provided a more attractive, classic look than the previous membrane roof. To provide natural light, translucent panels were installed along the lower part of the curve. 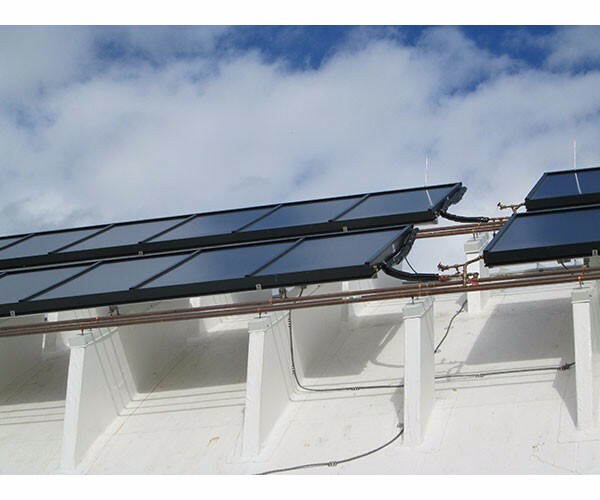 The existing solar pool-heating system was outdated and ineffective. 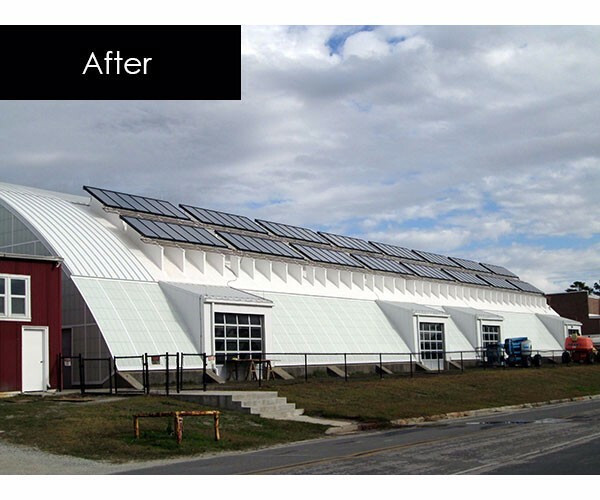 By increasing the amount of insulation and using newer technology, DJG was able to install fewer new solar panels. Despite this saving in materials, heated water was produced more efficiently than before. In the end, DJG increased the annual solar energy availability by over 200 million BTU’s – with fewer panels overall. Additionally, DJG designed the related pumps, heat exchangers, and controls, to allow the users better command of the new equipment. By replacing the collectors, DJG increased the annual solar energy availability by over 200 million BTU’s.